This past weekend we took a road trip to Indiana to see Alex at the NCAA championships. It rained most of the time. 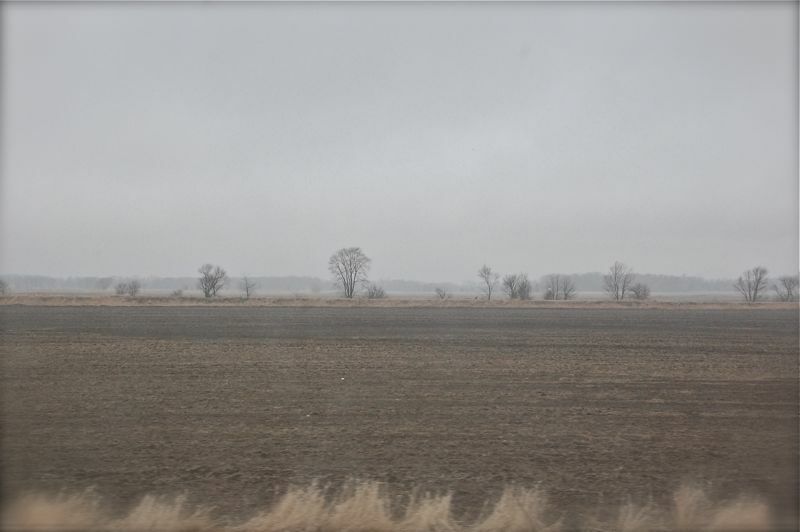 This is what most of the drive through Indiana looked like - flat, beige, and wet. Occasionally a farm would pop up on the horizon. interstate 70 through Indiana is a very decent road to drive on though. No one rained on Alex's parade. She is an indoor All American Pole Vaulter!